XDA Developers' editor-in-chief, Mishaal Rahman, has managed to get in touch with one of the beta testers of Galaxy Fold, Samsung's first foldable smartphone. Although they could not provide any device image (probably to avoid being recognized), the source answered a series of questions thanks to which we have more concrete information about the flexible device. The Samsung Galaxy Fold may not be accessible to many users, but that doesn't mean that there is no interest in the device. The first folding smartphone from the South Korean manufacturer finally has a price and an official launch date for Europe, but it seems that some units have already found their way to lucky users who will have the hard task of testing the Galaxy Fold before it arrives on the market. One thing that many want to know is whether the two panels of the Galaxy Fold will touch when the device is closed, or if there will be a gap near the hinge. Unfortunately, when the device is folded, there is space between the frames. Another important feature of this smartphone is the transition between the smaller external display and the larger internal display. According to the source, there is still a lot of delay in the transition between screens. Sometimes, the Galaxy Fold would also take a few seconds before resizing the image and format to the larger display. In summary, the experience is not as fluid as that seen during the presentation, but it is an aspect that can be improved via software. 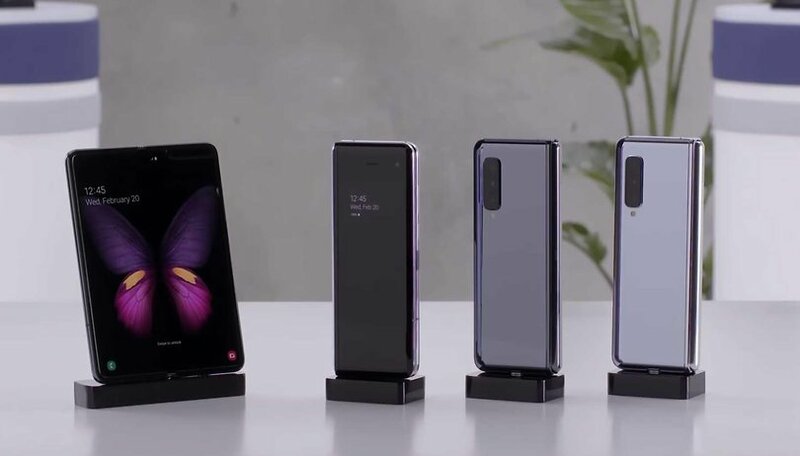 The Galaxy Fold is clearly intended to be used completely open or completely closed. Even when it is open, nothing happens when it is rotated. It does not turn from portrait to landscape. As far as the hinge is concerned, the source states that it is so strong that it does not allow the screen to go beyond the angle of 180 degrees once opened. This leads to another question that many people ask themselves: can you see the fold? How much? The anonymous owner reported that you see it and you can also feel it with your fingers while using the device, but with higher display brightness it becomes more difficult to notice it. In addition to the delay when switching from one screen to another, the Galaxy Fold could have some other minor problems since the software is not mature yet, but all in all, the overall performance is comparable to that of the Galaxy S10. Unlike the latter, however, there will be no variant Exynos in this case, since the Galaxy Fold will arrive with the SoC Snapdragon 855 of Qualcomm. The Samsung foldable also features the latest UFS 3.0 storage units and benchmarks have shown a 50% increase in reading speeds compared to the Galaxy S10. As expected, the small display can be used as a normal smartphone and there will be no limitation other than the size. Probably no one will want to play on such a small screen, but in any case know that it is possible. Battery life is perhaps one of the key questions, as the Galaxy Fold does not have a proportionally larger module considering the huge internal display (4380 mAh). After spending some time with the device, the source says that the autonomy is very good. Obviously, the experience will depend largely on the type of use. It is also clear that using the external screen more often will give you more autonomy. That is all we know so far, but we will certainly receive a lot more details in the coming weeks. We remind you that the Galaxy Fold will be available from select US carrier from April 26 and will cost around $1,980 for the base model with 512 GB of storage and 12 GB of RAM. Pre-orders in Europe also start on the same date, where the price is expected to exceed 2000 euro. What do you think of the Galaxy Fold? Are you planning on buying it? Let us know in the comments.